Bishop Simon Jenkins, 75, departed this life on Sunday, August 19, 2018 in Florence County. He was the Pastor of the Refuge Family Worship Center, the husband of Flora Jenkins, and the father of Ira Jenkins, Ann Jenkins Graham, and Angela Jenkins Pointer. Funeral services are scheduled to be held at the Door of Hope Christian Church, Thursday August 23, 2018 at 11:00am. He will be laid to rest in the Devotion Gardens Cemetery, Mullins. Bishop Simon M. Jenkins was born in Marion, South Carolina on October 30, 1942. He relocated to his heavenly home on Sunday, August 19, 2018. He was the son of the late Deacon Levi G. Jenkins and Bishop Annie Mae Jenkins and brother to the late Eva Mae Thompson. He was also the grandson of the late Bishop William Mason. On August 19, 1972, Bishop Jenkins married the former Flora Jean Page of Mullins, South Carolina. They have three children: Angela (Efrem) Pointer of Fayetteville, Georgia; Simon Ira Jenkins of Atlanta, Georgia; and Ann (David) Graham of Montgomery, Alabama. He has three grandchildren: Caleb Pointer, David Marley Graham and Maeson Graham. In addition to his immediate family, those who will cherish fond memories of his life include: one aunt- Alberta Gerald of Marion, SC and one uncle- Samuel Mason of Landover, MD; two sisters-in-law- Mrs. Reba Lewis and Mrs. Lillie Sandiford of Mullins, SC; two brothers-in-law- Mr. Franklin Page of Pontiac, MI and Mr. Dwight Page of Nashville, TN; a special cousin- Geneva Deas of Cerro Gordo, NC; a special in-law- Cheryl (Larry) Pettiway; and a host of other cousins, nieces and nephews, and spiritual sons/daughters. Bishop Jenkins was a graduate of Johnakin High School in Marion, South Carolina. Additional formal education included Allen University in Columbia, South Carolina; Quinnipiac College, Hampton, Connecticut; and Virginia Union University, Richmond, Virginia, where he received a Bachelor of Science degree in Business Education in 1968. He is also a 1984 graduate of Morris College School of Religion, where he was elected School Religion’s student of the year. Church was a major part of Bishop Simon Jenkins’ upbringing, under the active life of his mother. His mother, the late Bishop Annie Mae Jenkins, founded and pastored Refuge Pentecostal Church (currently Refuge Family Worship Center) in Marion, South Carolina and was the owner of Jenkins Nursing Home, Inc. in Marion, South Carolina and Love Residential Care in Mullins, South Carolina. She taught and trained him to serve God and to teach God’s word. Simon Jenkins served as the janitor, Sunday school teacher, deacon, assistant pastor and later became the pastor in 1988. He also served as Bishop of Lighthouse Church of Christ and Bishop of Refuge of Love Fellowship under the direction of Apostle Janie B. H. Collins of Longs, South Carolina. Bishop Jenkins was employed as a business teacher at Latimer High School. He was the owner of Jenkins Residential Care in Marion, South Carolina. 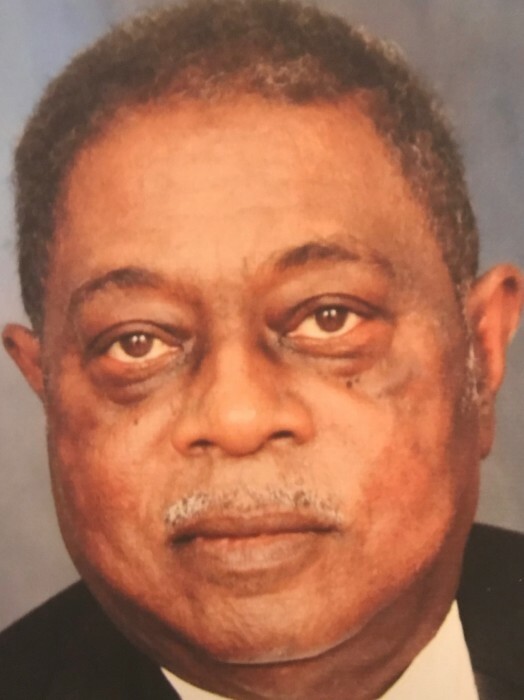 He later served as the Administrator of Jenkins Nursing Center in Marion, South Carolina and Associate Administrator of Mullins Nursing Center in Mullins, South Carolina. In 1999, he retired from his administration position. Upon retirement, he served the community and youth as a substitute teacher at Marion High School as well as Marion’s Alternative School. Simon Jenkins served in the United States Army as a chaplain assistant. His training and assignments included Fort Jackson (Columbia, South Carolina); Fort Dix (Trenton, New Jersey); Fort Hamilton (New York, New York); and Fort Wadsworth (Staten Island, New York). He received an honorable discharge. Bishop Simon Jenkins was called to civic duty in 2010 and served the county of Marion for six years. He was elected to Marion County Council District Number 2, were he also was appointed as Chaplain. He was a member of Marion Area Ministerial Alliance and ministered at Saint Paul Baptist Church Adult Daycare Center under the direction of Dr. Mack T. Hines and Mullins Nursing Center.